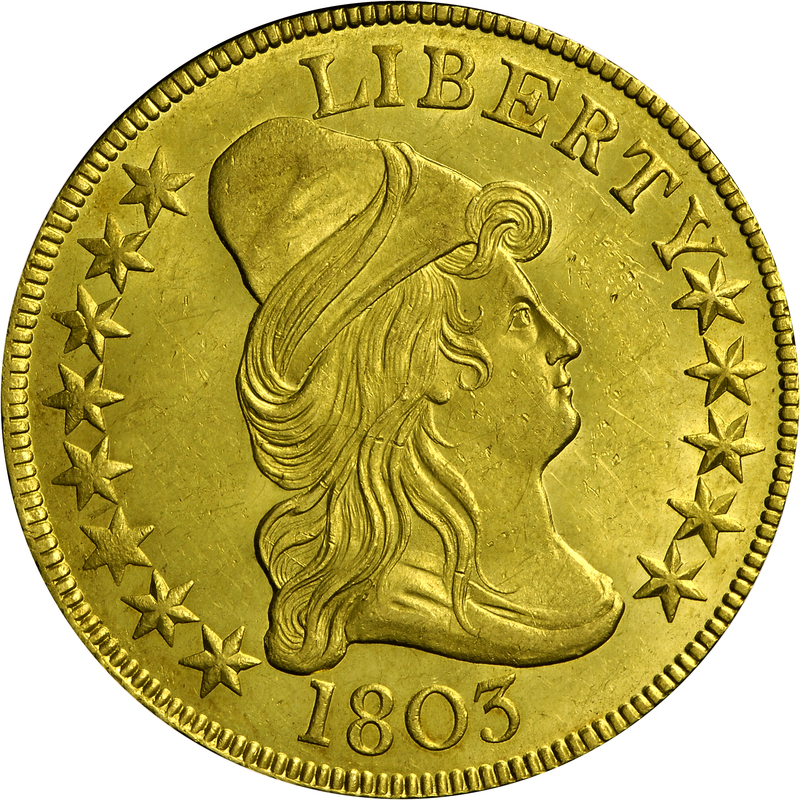 A relatively common die marriage and the second most common among all 1803 eagles, this example was acquired by Harry Bass from the John A. Beck Collection, sold by Abner Kreisberg in three parts, beginning in 1975. 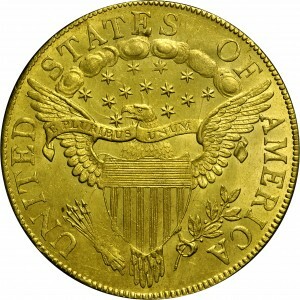 The lot comprised a complete date and major variety set of early eagles. Although not the finest known, this is a desirable Mint-State example. This reverse has a very light die crack connecting the tops of IT to the rim over E along with very light clash marks. From Quality Sales Corporation's sale of the John A. Beck Collection, Part I, January 1975, Lot 486. 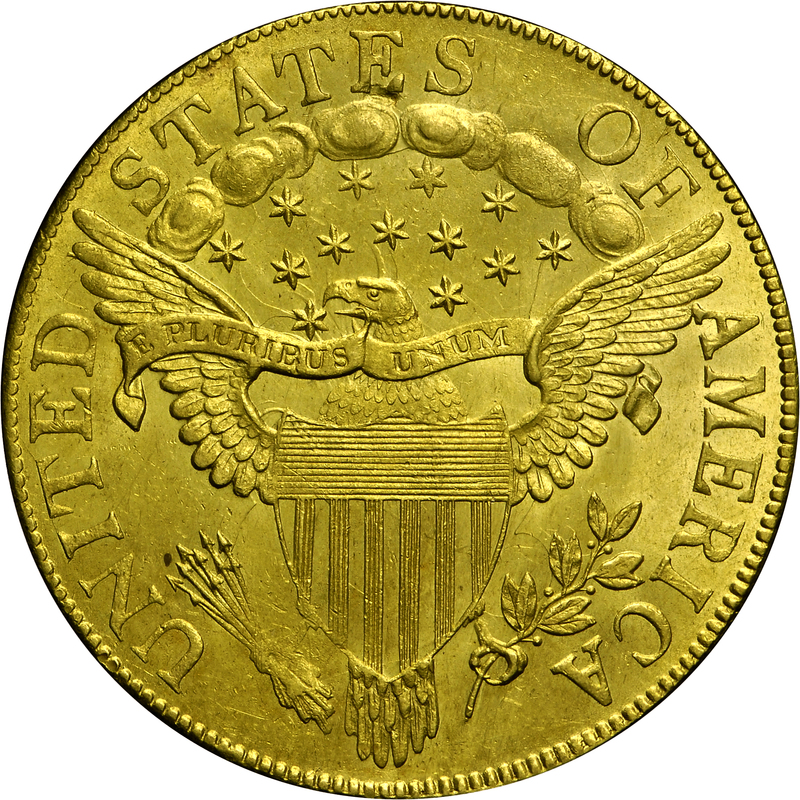 "Obverse: Stars Type III, as 1801 obv. 2. Clashed. Reverse: That of 1801B. Small stars. Small berries. Berry under far right serif of A. Long curved stem. Lump attached to bottom of left serif of T(A). A(M) rests on feather tip. Lapped. Clashed."